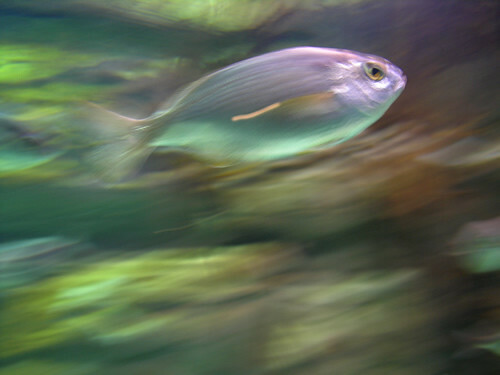 To get to be like a fish in the water you just have to let yourself be carried away by the current. 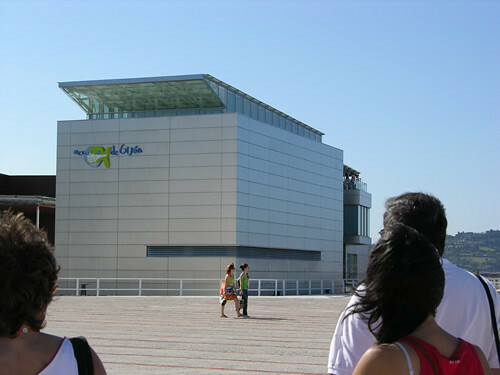 The aquarium of Gijón, inaugurated in June of 2006, makes it easy for us thanks to a well-worked and "espeztacular" aquatic circuit, as the aquarium's official advertising says. 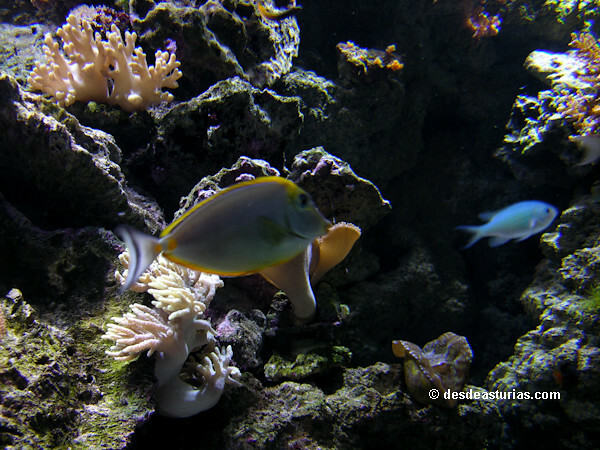 Nobody leaves disappointed of this immense living museum of the seabed. 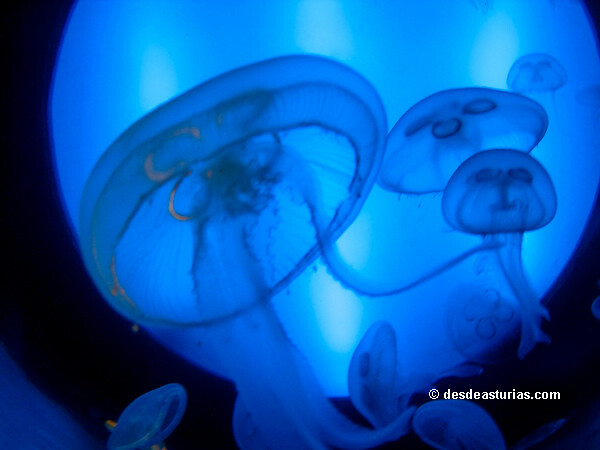 After close to two hours of travel, the visit will have passed in a sigh, because the time that we have spent "underwater", trapped by color and biodiversity, is a relative, tiny time, that runs much quicker than the one that marks the clock. 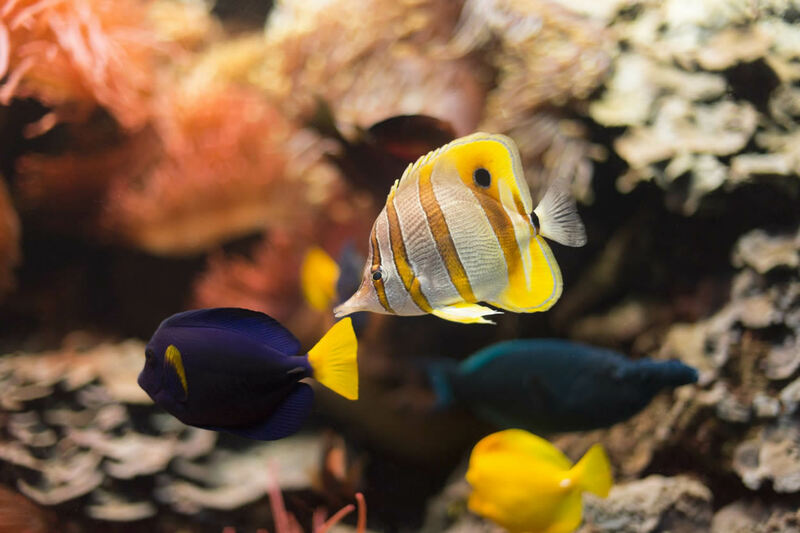 Anyway, two hours give a lot, you can admire more than 4.000 aquatic, vertebrate and invertebrate individuals, belonging to more than 400 different species. 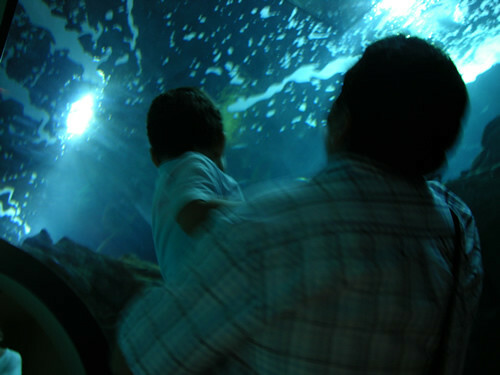 The route passes through 60 aquariums of fresh and salt water in which almost all the seas of the world are represented. 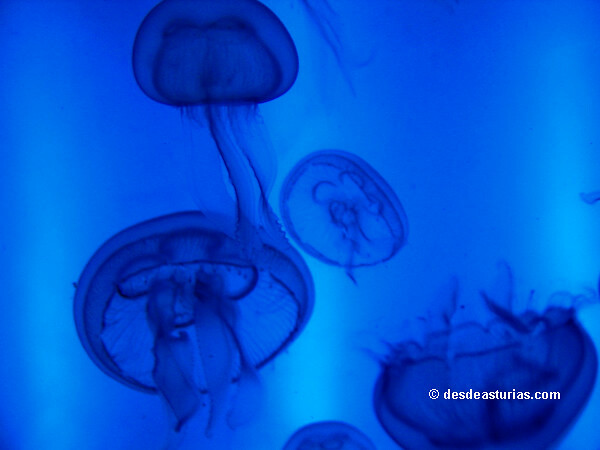 More than 2.000 cubic meters of water that recreate life in the Asturian rivers, the Cantabrian Coast, the Caribbean Sea, the Pacific and Indian oceans, the Red Sea, the African Indian Ocean, the South Atlantic Ocean and the Subtropical Atlantic Ocean. 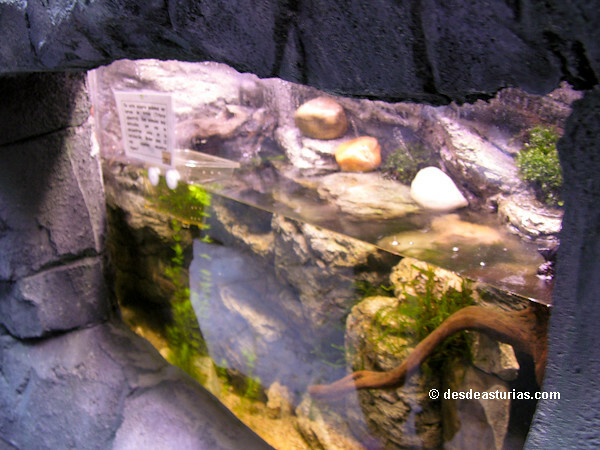 Little by little we are acclimated to all the habitats, mainly because it is forbidden to "not touch". 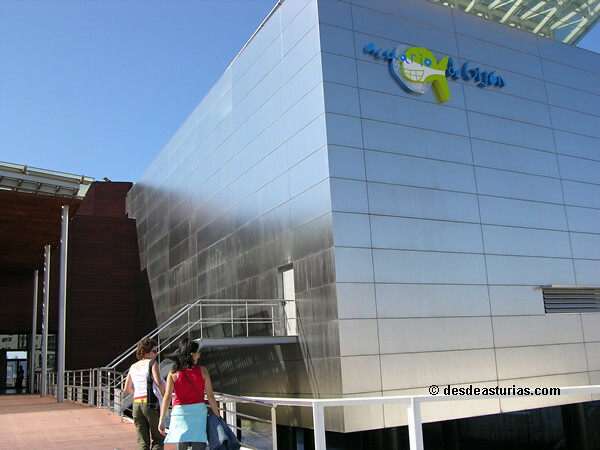 The main characteristic of the Aquarium of Gijón is its marked educational vocation, which is why it is ideal for children. 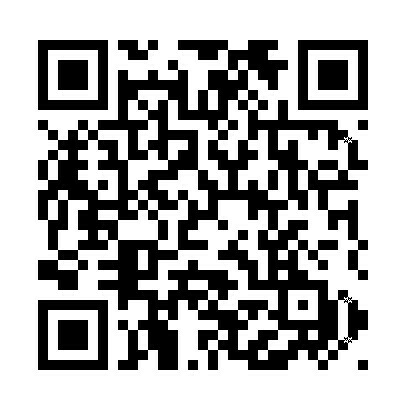 At all times we are invited to maintain a direct contact with the species. 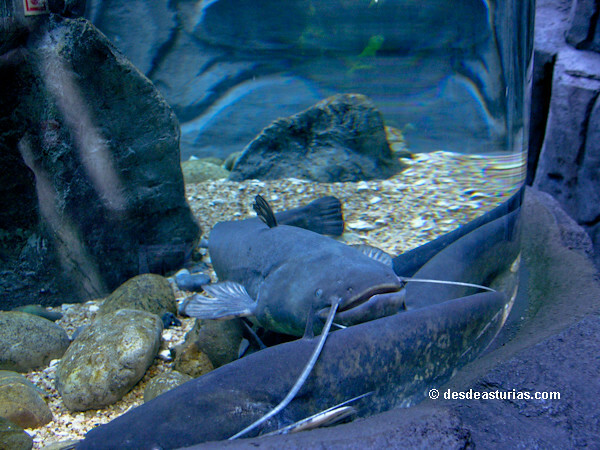 We get closer to the fish that we are as one more: box fish, small shark pups, moray eels, turtles, penguins, eight sharks between 1,5 and 2 meters in length coming directly from Florida; Asturian coast: lobsters, spider crabs, crabs, oricios, smooth, pixin or monkfish, this being the only aquarium in Spain that has this species on display, pout, corvine, sea bream and maragot, species such as the hunchback , the shoemaker and the shad, among others. 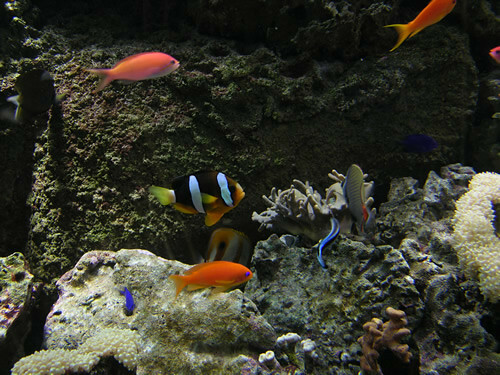 The famous clown fish (consecrated by the movie "Nemo"), and others with such suggestive names as the catfish, the biter, or the yellow goat fish, are accompanied by the enigmatic seahorses, seahorses, jellyfish, fish rabbit and surgeons or shark carpet of the eastern Pacific. 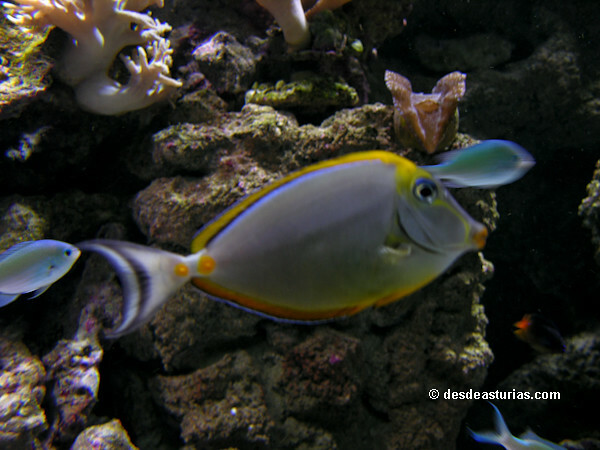 There is also place for spectacular and colorful coral barriers patrolled by chest fish, cow fish, angel fish and butterfly fish. 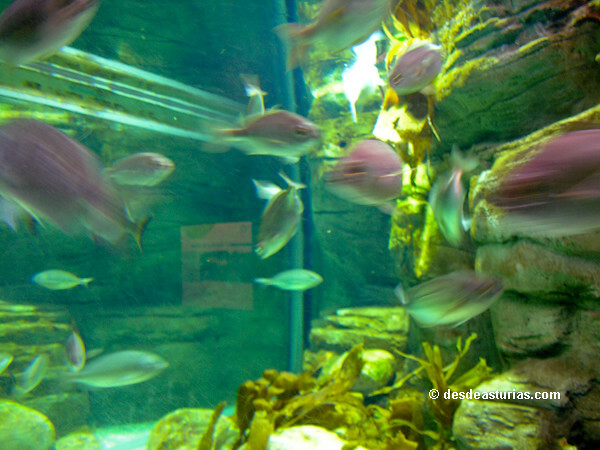 Where is the Aquarium and what will we see? 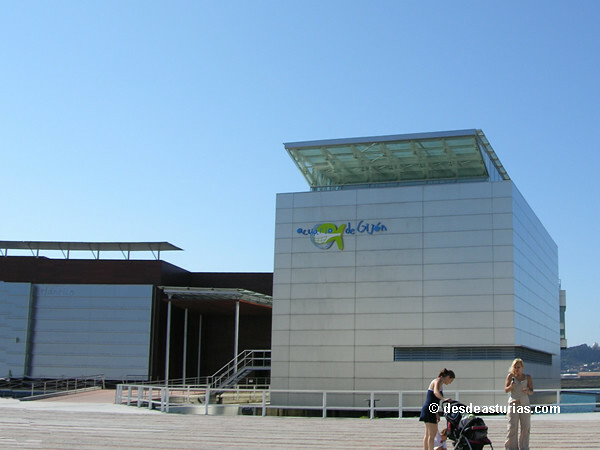 Located on the promenade of the Poniente Beach, without leaving the urban helmet of Gijón, The Aquarium, inaugurated the 10 of June of 2006, does not stop to increase its fame and its powerful attractive like must see. 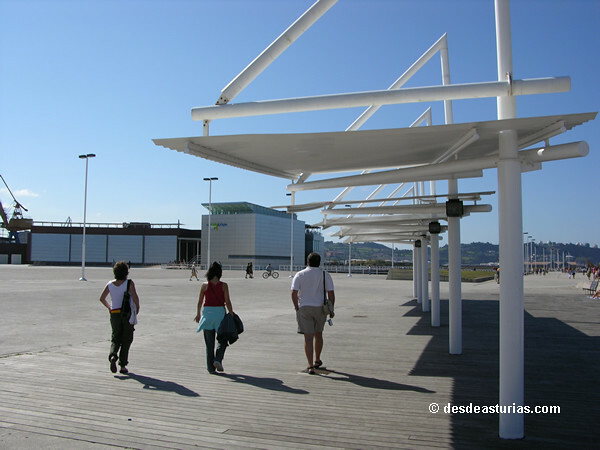 The first part of it is dedicated exclusively to the Cantabrian River. 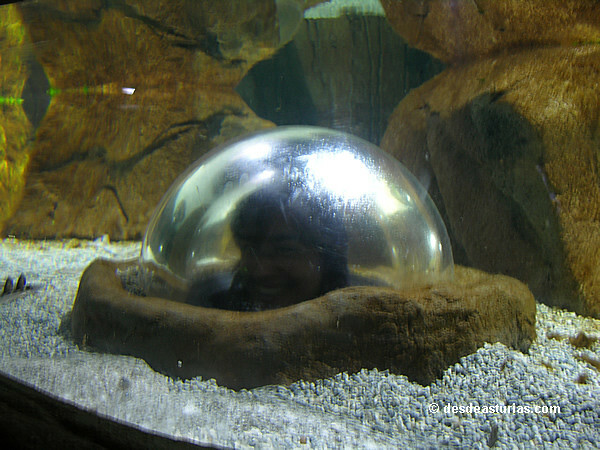 Very well set, simulating a rock, with the noise of water accompanying everywhere. 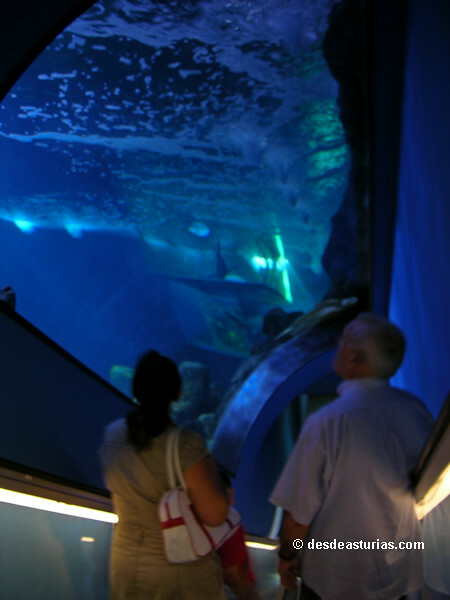 Then we access the Cantabrian Coast, where there is an aquarium in which we can introduce the head and admire the movement of the fish from a privileged position. 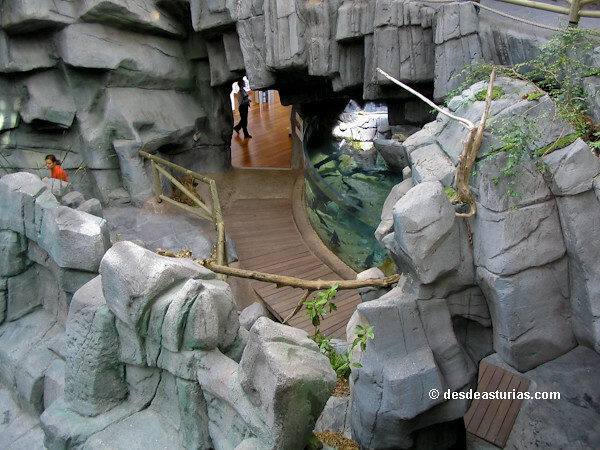 We reached two areas of the Atlantic Ocean: the temperate and the Caribbean, the domains of "the great swimmers", as explained in the panels. 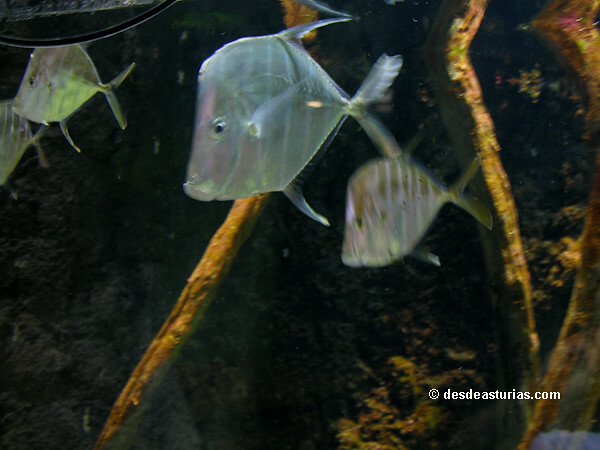 In the temperate ocean, inside a huge and unique aquarium of 1,3 millions of liters of water and six meters deep, we see wandering around its whitish toro sharks of the South Atlantic, and grays too. The trip soon takes us further south, at the end of Hornos, the home of the peculiar Magellanic penguins. 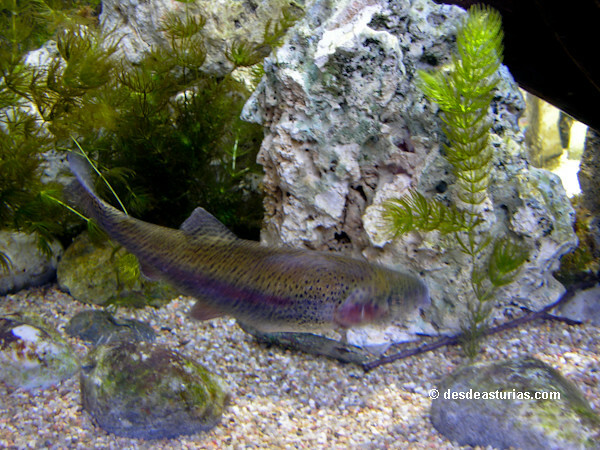 We are explained the customs and diet of all the fish, such as the tropical ones, which feed on a porridge of prawns, mussels, vegetables and some type of fish, or the moray eels, which only eat two or three times a day. week, like sharks in the central tank. 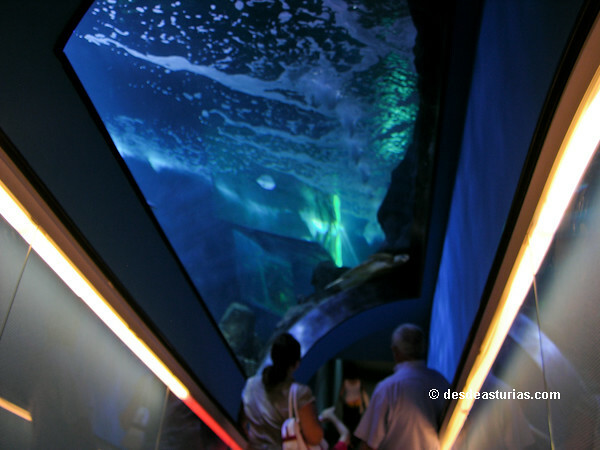 At the end of the tour is the Auditorium with a giant screen that is displayed on a real aquarium, in which documentaries related to the marine world and its conservation are projected. 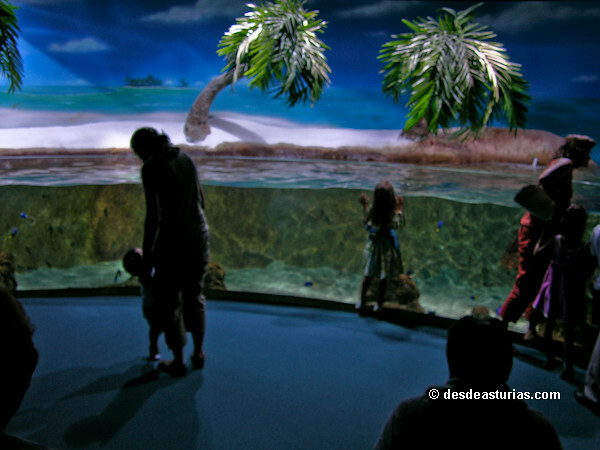 The installation also has a Species Recovery Center, which aims to turn the center into a national reference, a pioneer in the hard work of recovery and conservation of marine fauna. 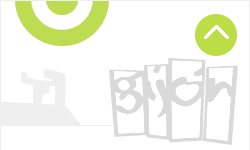 5 answers to "Aquarium of Gijón"